It is not uncommon for dogs to love digging holes all over your yard. However, their digging and investigating can obviously make a great big mess of your yard. It is probable that your dog is constantly digging because they are bored or lonely, so the best action that you can take to stop the digging is to improve their range of daily activities. 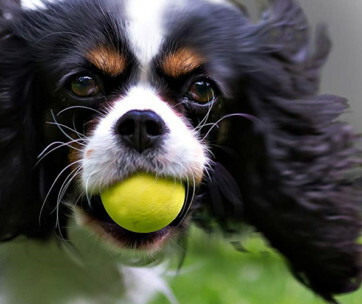 Dogs are naturally energetic pets and so this is a relatively easy task. To stop the digging all it takes is some of your time. Read on to discover exactly how to stop a dog from digging in the yard. How to stop a dog from digging in the yard begins with you giving them your time and attention. Relieving solitude really can stop your dog from digging. Attempt to spend more time with your dog and ensure that they get adequate amounts of attention. You can achieve this in many ways like taking them with you when you do your shopping, when you are dropping off your mail, or when you are picking up the kids from school. 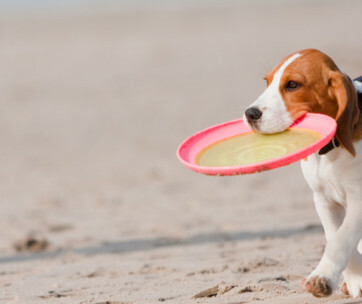 Your dog will appreciate the break from doing the same old thing and you, of course, will have their company to enjoy. 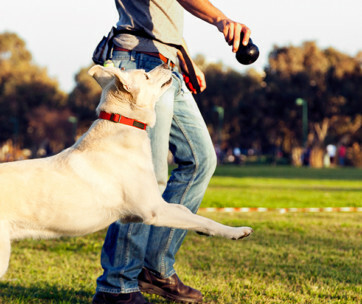 At least twice a week, try to design a big out-of-doors activity for your dog. It stretches their legs, keeps them occupied and takes their mind off digging holes in your yard. Plus, your dog is able to spend quality time with you as you enjoy yourselves together. If your dog is not to be stopped and is just a dog that likes to dig whatever, try giving your dog a dedicated pot for digging. This can be straightforwardly and cheaply set up by building your dog their own sandbox. Use an old plastic swimming pool and fill it with sand, or if you have the skills, you might want to build your very own more attractive pit in the form of a wooden frame which fits your yard. This might also mean that you need to install awnings to keep the pit shady. Look into the idea of buying or building a new dog house so that your dog understands that this is their area of the yard. Put a blanket inside it for comfort and add their water bowl. This will go a long way in preventing your dog from digging under a fence. With the addition of some attractive bushes and shrubs to the boundary of your fence, this may help prevent your dog from digging under the fence. Large and sturdy plants help to prevent your dog from getting to close to your fence and the root systems of the plants may go towards helping to keep your dog from digging around the fence. The possible downsides are that some of your plants may suffer from the digging and it can additionally make it more difficult to notice the places where your dog is digging. If you really want to understand how to stop a dog from digging, then try distracting them with a toy and see how they react. It needs to be the right dog toy to help to keep your dog far too busy to be thinking about digging up your yard. When your dog spends too much time outside on their own, they can get up to mischief. 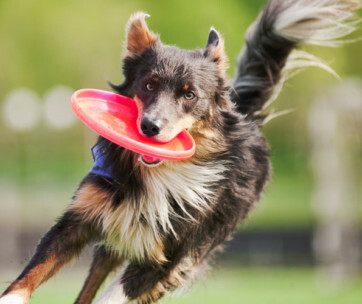 A further step you can take to make sure that your dog is not spending all their time digging your yard up, is to acquire lots of time-consuming toys to distract them when you are not at home. Owners should keep in mind that mental stimulation with brain-teasing toys is just as vital as physical exercise. There are loads of these exciting dog toys on the market. Numerous products take advantage of your dog’s fixation to tastes by allowing you to hide delicious treats on the inside. A dog has to spend lots of time to find these treats by throwing, chewing, and playing with their new toy. Most of these toys are interactive so that when your dog picks it up to play with it, the toy reacts back by moving or making lots of noise. Get a few diverse kinds and you will be able to determine over time which ones your dog likes the most. Make sure you rotate the toys so that your dog will not get quickly bored. Toys stop a dog from digging most of all. 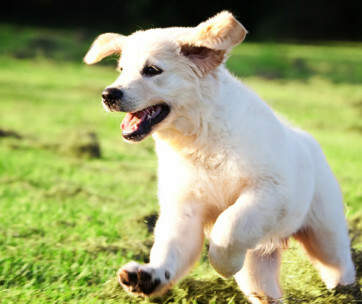 If you have a high-energy pet, then plenty of exercise is key to use up pent-up energy. This the exact same energy which they are at present using to dig up your yard. Between work and looking after the family, it can be difficult to prioritize the time to include long walks with your dog into your schedule. However, the great news is that consistent walks can be worked into your daily routine. This means walks need to be worked into your lifestyle regardless of how busy your life gets. 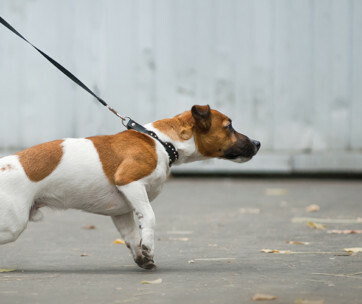 Play a long game of fetch in your yard, take a long walk through your neighborhood, find a local wood and walk there, these are all examples of walking exercises that you can do every day with your best friend. Any kind of exercise is up to you to organize, your dog will thank you for it doing it and reward you by stopping their digging. Many behavioral issues in dogs such as excessive chewing, continuous barking and digging holes in the yard happen because a dog does not have anywhere else to use up their extra energy. When you prioritize planning walks for your dog, you will both get to lead healthier lifestyles and this is how to stop a dog from digging under a fence. Overall, there are lots of ways to stop a dog from digging. It is important to remain calm and patient when you catch your dog digging under a fence. Through trial and error, you will soon know how to stop your dog from digging under a fence.